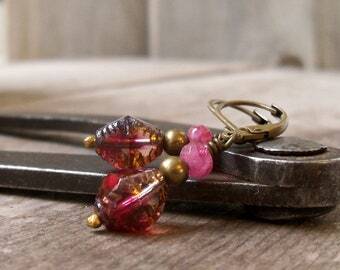 This listing is for hypoallergenic, pure titanium, beaded dangle earrings. 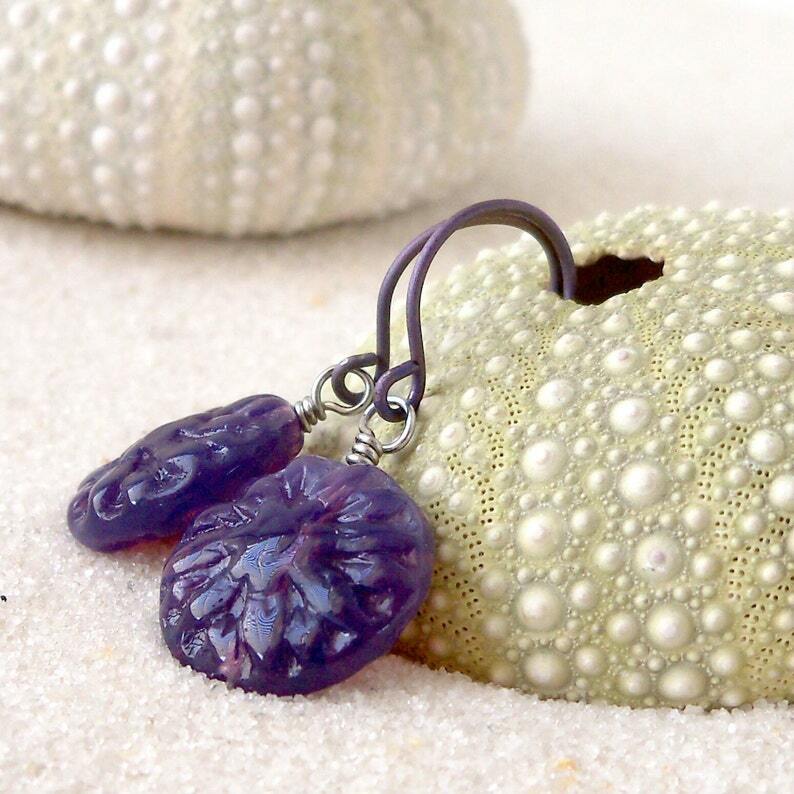 The dahlia, flower shaped beads, are 14mm purple opalescent beads. 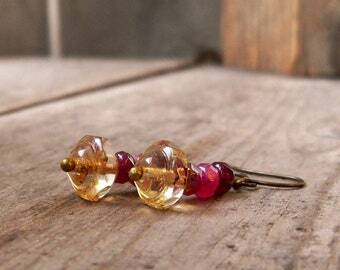 They are premium Czech glass beads and make a wonderful pair of summer earrings. I have also shown another color that will soon be available. These are listed as titanium earrings but I have also included other options. As shown, they have purple titanium ear wires. They can be put on longer kidney wires if you want them to dangle lower (just ask). 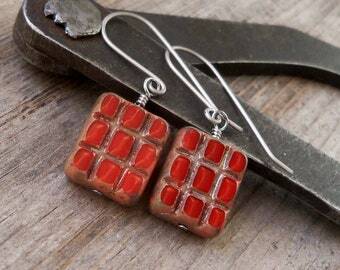 They would also be beautiful with silver or gunmetal wire. If you don't see what you want, ask about availability. The colored titanium is anodized and will not cause any reaction or change the quality of the titanium. Anodized wire is not always perfect in color. It will have some variations where the metal is bent and sometimes along the length of the metal. 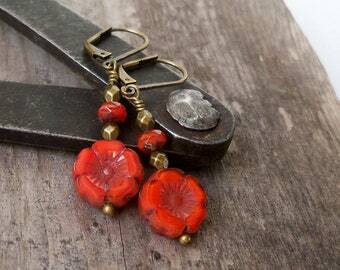 This adds to the boho feel of the earrings. I promise they are lovely! In case you are not familiar with titanium. Titanium is a pure metal, not an alloy. This means there is no nickel, lead or copper (or other metals) mixed with it. It is considered allergy free or non-allergenic. I have had several people test this wire for me, many of them could not wear any earrings without having problems with their ears. These earrings did not cause any reaction at all.